The time spent in the beginning makes everything easier in the end. As a Pinterest Virtual Assistant, you will find this statement to be true. When it comes to scheduling and organizing your Pinterest pins, it’s worth the work to set up your systems and processes from the start. Try these tips for a Pinterest Virtual Assistant. Whenever I take on a new client, I spend a lot of time setting up the client’s accounts. I strive to be known as the Pinterest Manager who goes the extra mile to provide the best service. Following these seven tips will lead your clients to feel this way about you, too. Before my client consultation, I always ask for their Pinterest URL. 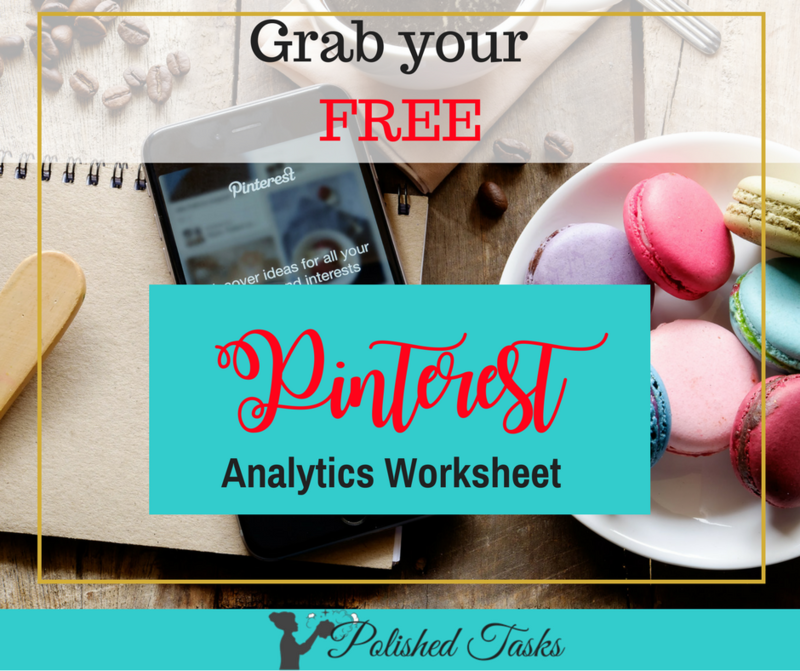 I look to see if the Pinterest profile and board descriptions need to be redone and keywords added? Do they need to add more boards that are relevant to their niche? Do they need to find more group boards? Are there boards that are personal and need to be made secret? This gives me a chance to see what recommendations I can make during the consultation that will be beneficial for the client. Tip 2: Setting up files and folders. My personal preference is using a combination of Google Drive and Gmail along with a hard copy for all things client-related. In Gmail, I create a label with the client’s name to store all correspondence between the client and myself. On my desktop and in Google Drive I create a client folder for images, pins, and documents. A physical folder is used for storing client contracts, documents, notes, and anything else that is pertinent to the client. Tip 3: Making a spreadsheet. Gather all the client pins and sort them according to how they will be pinned. I categorize this as “months or seasons” and “pins that can be scheduled any time of the year.” It depends on your client’s niche how you choose to categorize them on the spreadsheet. Another tip that I have found super useful came from Jolene Mathew, author of the Candy Class Blog, is to write a short description of the pin and beside it include the pin’s Pinterest URL.Use this URL from the spreadsheet to schedule the pins. It’s also useful to put an “X” beside the pins you’ve scheduled to keep track of what is pinned each month. Tip 4: I schedule pins using Tailwind and have found “Board Lists” to be a great timesaver. With the client’s permission, I create a lot of board lists for group boards they belong to and board lists for their boards for those times I’m pinning from Tribes and group boards. For the client board list, I group them by subject, seasons, and grade levels when I’m working with my Teachers Pay Teachers (TpT) Sellers. You will use groupings that make sense for your clients. I also create board lists for any group boards that have rules so I’ll remember to schedule them using the interval setting. At the beginning of the board list name, I put “GB” to remember it’s a group board and “HB” to differentiate between group boards and client boards. When I get finished, I do have a lot of board lists. Once it’s set up scheduling is so much easier and faster. I keep hard copies of the board lists. When I’m searching for pins in Tribes and group boards, I have something to look at to remind me which client boards I can pin them on. Tip 6: Finding group boards. At least once daily I notice Facebook group posts looking for group boards to join. There are two methods I use to find group boards for clients. The first way is to look for the group boards on the profiles of the client’s followers. Since they follow your client, most likely they will be members of group boards are relevant to your client. The other method I use is to search the niche that is relevant to your client. Click on people to find others in that niche.Go to their profile and search their boards for group boards. I have started a spreadsheet to add group boards too when I find them with the group board name, contact information, and link to the board. Tip 7: Customer service is key. Clients want timely responses to their questions, and they like to be kept updated. Make timely communication key. Regardless of how difficult it may be, always notify a client of any mistakes you may have made. Let them know what happened and what you are doing (or have done) to correct things now and in the future. You’ll end up with a happy client that has respect for you and your business. Happy clients can mean glowing referrals and isn’t that what we all want? While I work with Teachers Pay Teachers (TpT) sellers and Etsy sellers, with a few tweaks, these tips can apply to any niche. I hope you’ll find them helpful.